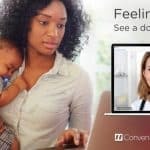 BAYADA Home Health Care is sponsoring this post because it is a leading company in home health care services and is searching for employees who share the philosophy that home health care nursing is a higher calling instilled in those with an innate desire to give compassion, comfort, and care. BAYADA is currently looking to hire clinical nurses for the Minnesota division specifically. Those who are interested in applying for a job opportunity should visit https://bhhc.co/hello. Did you know there is a nursing shortage in the United States? In the next 10-15 years, this shortage is expected to reach crisis level, where the demand for nurses far exceeds the supply. One area of nursing that has felt this shortage is home health care nursing. Americans are living longer and many have realized that home health care offers more affordable options to hospitals or long-term care facilities. Most of my readers know I am a Registered Nurse and I formerly worked in Labor & Delivery. I loved nothing more than helping bring babies into this world. The autonomy and joy of seeing new life take its first breath was simply amazing. One thing I love about nursing is that there is so much flexibility and you can literally do so many different things with it. Home health care is one of those areas that really offers amazing benefits and is rewarding work. 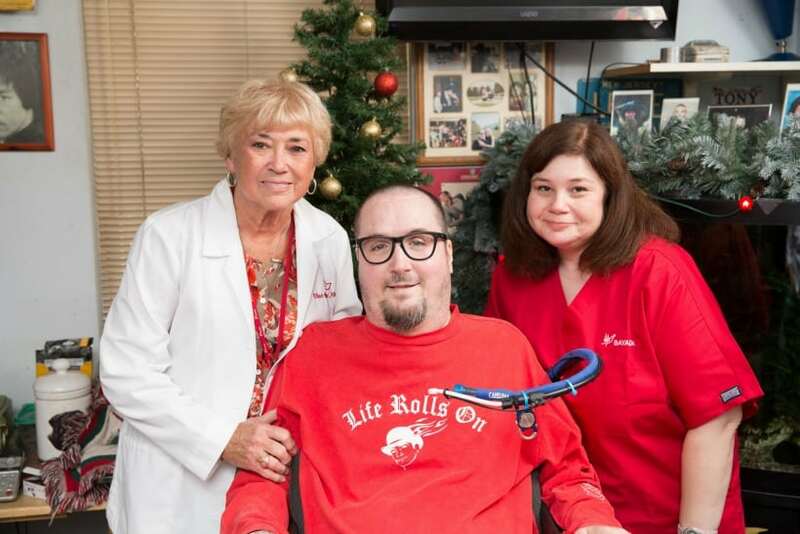 As the name suggests, home care nurses provide nursing care to patients in their own homes. There’s a common misconception that home care nurses have very elderly patients, but this is actually true of home health nurses, whose patients receive multiple visits a day for shorter periods of time. BAYADA’s Minnesota division specifically offers home care to young adults for extended hours—even up to 24 hours a day—meaning the home care nurses have a long-term, one on one relationship with their patients, helping them remain as physically and socially active as possible despite their medical conditions. This is a very unique trait to the nursing field that creates a true, special bond between nurses and their patients. BAYADA Home Health Care has been in business since 1975. That is 43 years of great home health service. BAYADA values its employees by offering competitive compensation and benefits, including ongoing education and leadership opportunities. The company operates in what is called “The BAYADA Way” which is a philosophy that believes the clients come first, employees are the company’s greatest assets, and everyone should be treated with compassion, excellence, and reliability. You can find out more about how BAYADA takes care of caregivers by visiting https://bhhc.co/hello. If you really love what you do, you never have to work another day in your life. That’s the way I have felt for the past 13 years, since coming out of retirement to work for BAYADA. First as a field nurse and now as a clinical nurse manager, I love what I do every day. And I am thankful for the company’s expert and capable leadership, and a team that believes and lives The BAYADA Way. 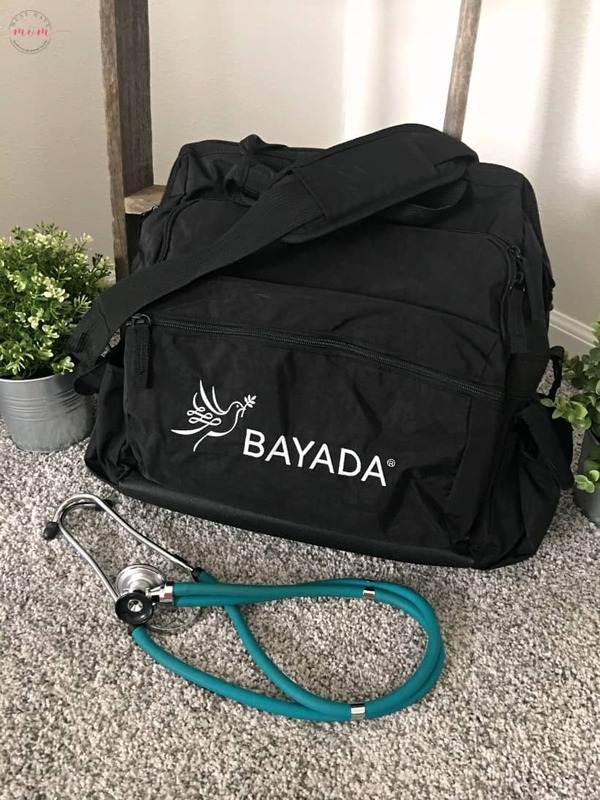 BAYADA knows its nurses need gear that won’t slow them down when moving from house to house. That’s why they designed a custom nurses bag that takes care of the details so employees can focus on the ones that really matter, the clients. This bag is comprised of water-resistant nylon and features a wide mouth opening for easy access to the inside compartment along with durable metal hardware, a removable shoulder strap and multiple storage compartments that enable users to reliably control potentially infectious materials. 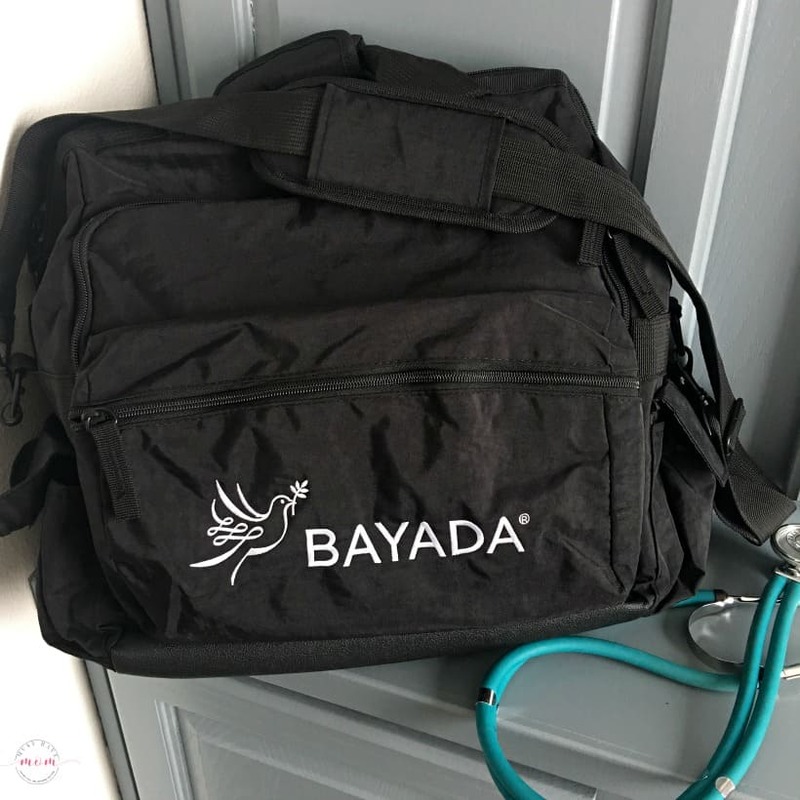 BAYADA created this bag using real feedback from team members in the hopes it would make their daily lives just a little bit easier. It is just one of many examples of the extra steps BAYADA takes to care for the people who matter most to its clients, the clinicians. Right now BAYADA is looking to hire clinical nurses for the Minnesota division specifically. If you are interested in applying for a job opportunity, visit https://bhhc.co/hello and get started today. 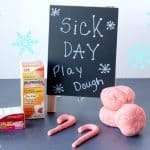 Kids Sick Day Peppermint Play Dough Recipe! 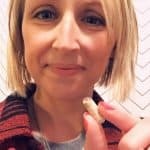 Open Up The Sinuses & Keep Little Hands Busy! « Stunning RV Renovation With Before & After Photos! I know a few nurses. I will share this great opportunity with them. This sounds lik a great company to work for. Nurses can do so much and take care of so many different types of patients. Those numbers really support the value of being a nurse in the coming years. This sounds like an amazing company. I’m not a nurse, but I know a few nurses. I’m going to make sure to mention this to them! This company sounds wonderful. My cousin is a home care nurse for about two years now and loves it. I am very thankful for traveling nurses. My mother-in-law is in the final stages of brain cancer and the home nurses have been a beautiful blessing for her these past few weeks. I’m so sorry to hear about your mother in law. That is so much for everyone to deal with. I hope the nurses have taken a bit of that burden off your shoulders. Prayers for strength for your whole family! What a great opportunity for nurses who want to make a slight career change. Being a nurse is so important for everyone. thank you for all your work. 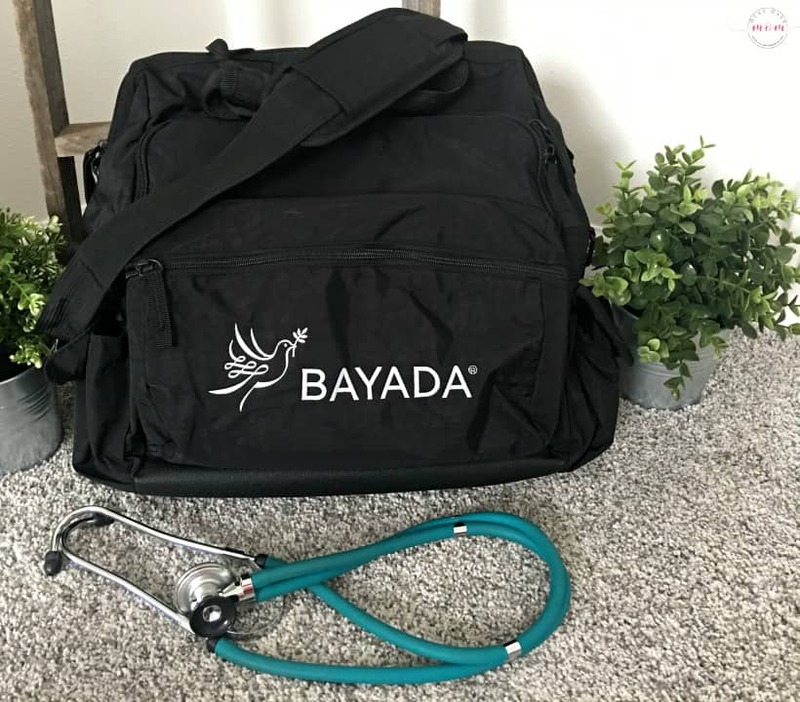 I’ve heard lots of good things about Bayada, especially that they provide reliable, caring nurses to care for elderly and ill people in their own homes. Nurses are magical! This sounds like such a great opportunity for nurses. It’s wonderful their employees are so highly valued. We had home health care for a little while for our son. We didn’t have Bayada but a few other companies. It’s hard to find a good home health care company. I can’t imagine trying to hand over that trust to care for your son. That has to be a struggle as a parent. This Content like such a great opportunity for nurses. It’s wonderful their employees are so highly valued.